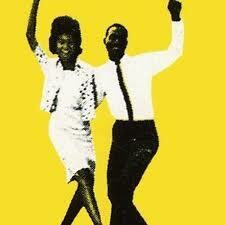 Boogaloo is a term with several meanings. Officially, they say, it refers to a type of dance music born in Spanish Harlem in the 1960s. In some parts of Canada, a boogaloo is a beat up rust-bucket of a car as in, ‘where did you get that boogaloo?’ Other frightened types, say the word is the best way to describe African Americans, or anything they consider dodgy. 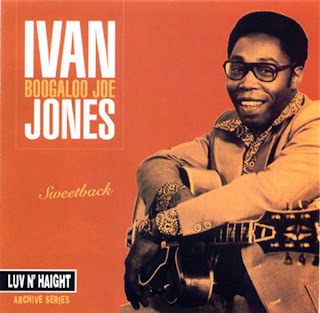 Ivan Joe Jones, was a R&B, blues guitarist whose music lived in the shifting sands that demarcate jazz from funk. Jones, is quite a common name and so is Joe. And in music there were quite a few other players with similar names. Especially, the jazz drummer, Philly Joe Jones. Ivan, was not so famous but just in case one day he became so, he wanted everyone to understand that he was not be confused with the other guy. So he inserted the title ‘Boogaloo’ into his name. Ivan is what the musical authorities call a journeyman. His music was solid but ‘not outstanding’. 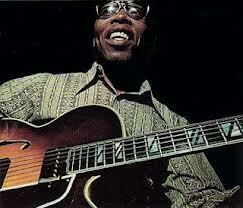 He played with many jazz and R&B greats and made a whole series of great records in the 60’s and 70’s. Now, for me, the term ‘boogaloo’ has always meant fast or quick. And clearly that is what Ivan brings to the definition, because he playing is often like quicksilver. Running up and down the neck of his guitar with single note annunciation second to none. Listen to the fierce but absolutely joyous playing on You've Got It Bad, Girl to see what I’m talking about. Stunning stuff. It this is merely solid playing then even George Benson has to be considered a journeyman too. Sweetback is an album from the mid-1970s . It has all the lush life of that era--soaring saxes, loungey flutes and strings, ample (but unexpected) covers of big hits (Jamaica Farewell)­—as well as, of course, Ivan Joe’s finger’s boogalooing each song forward. Plump, sweet and funky! Perfect for any occasion.